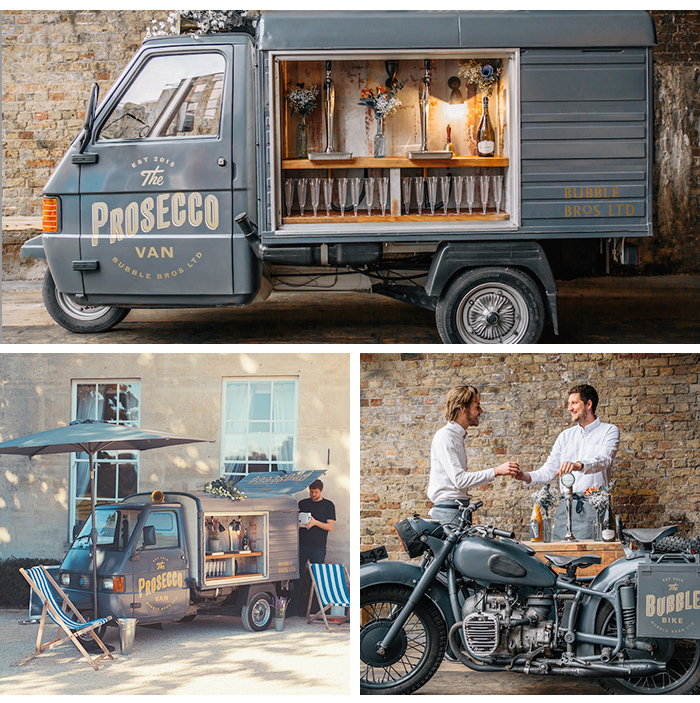 Because everything's cooler on wheels, including wedding cocktails! 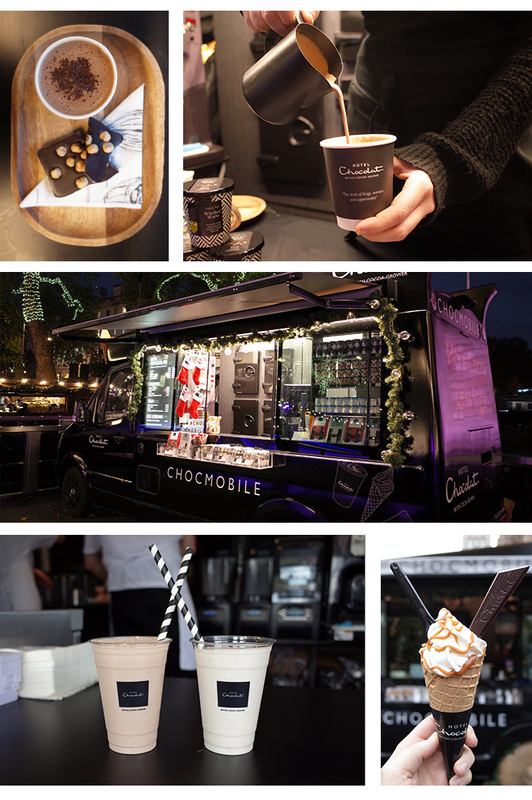 From serving ‘dangerously delicious’ bubbles at Syon House to pouring at festivals, Bubble Bros has been raising the bar since 2015. The star is the Piaggio Ape van, a three-wheeler stocked with flash-cooled Frizzante bubbles. 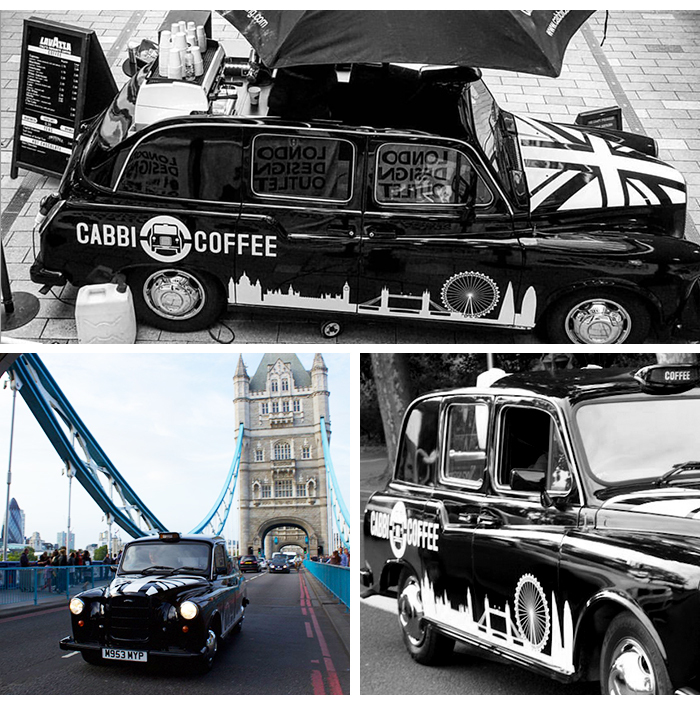 The iconic 1996 Fairway Black Cab serves Lavazzaa coffees, hot chocolates and a selection of warming teas. With London’s iconic skyline illustrated on its side, it’s just the thing for city-centre dos. 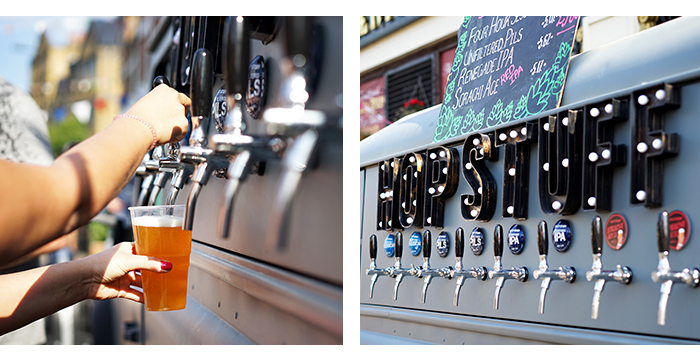 Hop Stuff Brewery has refitted a Landrover Defender with cooling systems and eight taps and illuminated signs to create the ultimate ‘beermobile’. It can serve up to 500 (!) pints of everything from craft beers to lagers and IPA. New wife brownie points guaranteed. 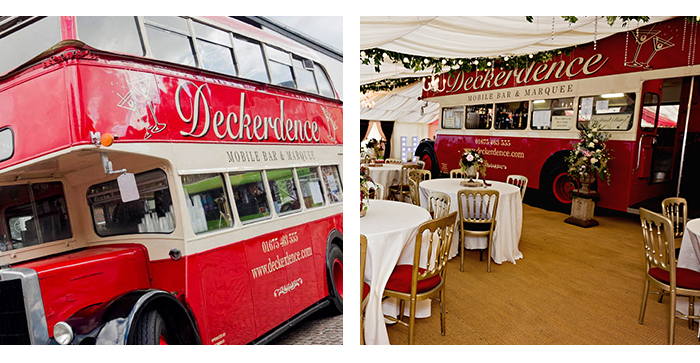 This revamped vintage routemaster is a complete bar on wheels with a built-in 360° marquee that can be unravelled once it’s parked at the venue. You may have seen Indian street food stalls before, but we doubt they’re anything like this. 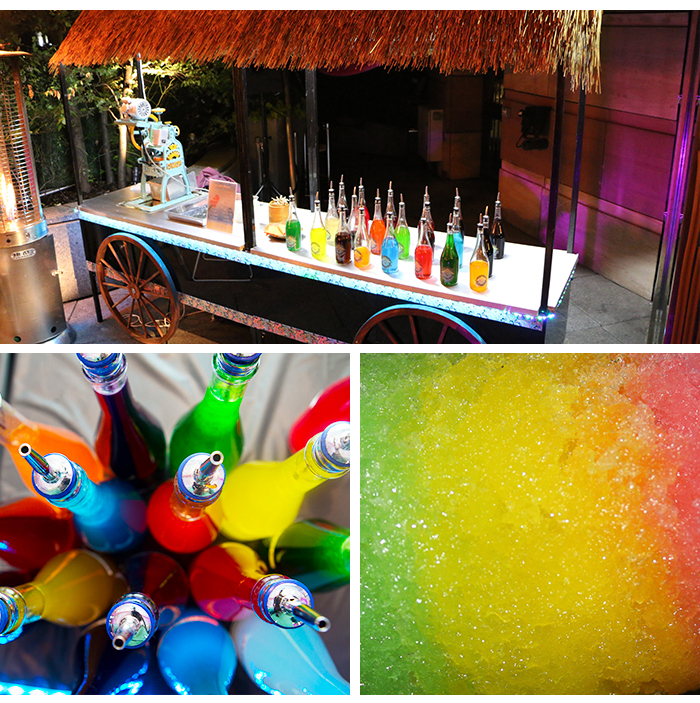 The company serves refreshing Ice Gola (a.k.a Baraf Ka Gola or Gola Ganda) in a cheerful yellow cart covered in kitsch truck art - think ‘Horn OK Please’ and you’re on the right track. They’ve got 36 flavours of syrup including Paan Masala, Lychee and Kala Khatta. Drool. 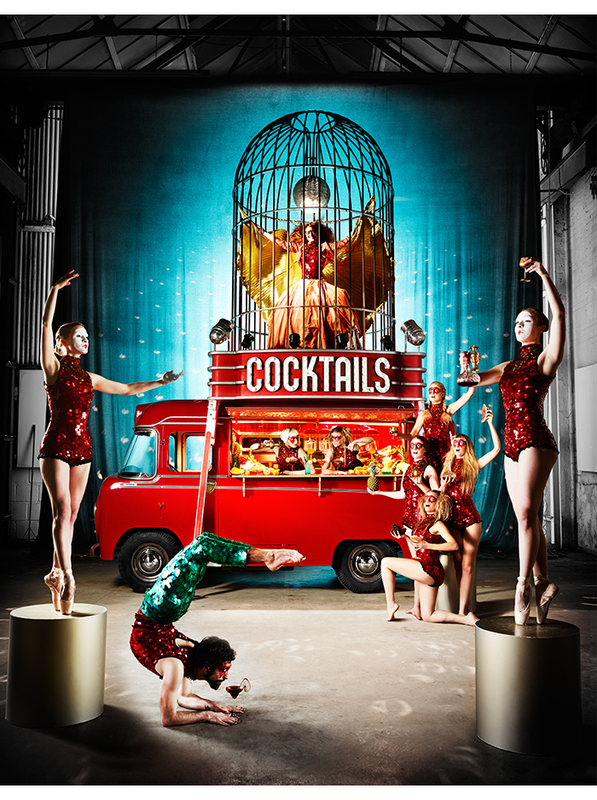 For an injection of theatre, look to Art Bars’ two stunning mobile cocktail bars. Hire includes costumed expert mixologists, a bespoke menu of six cocktails and access to incredible performance artists. In short, epic. 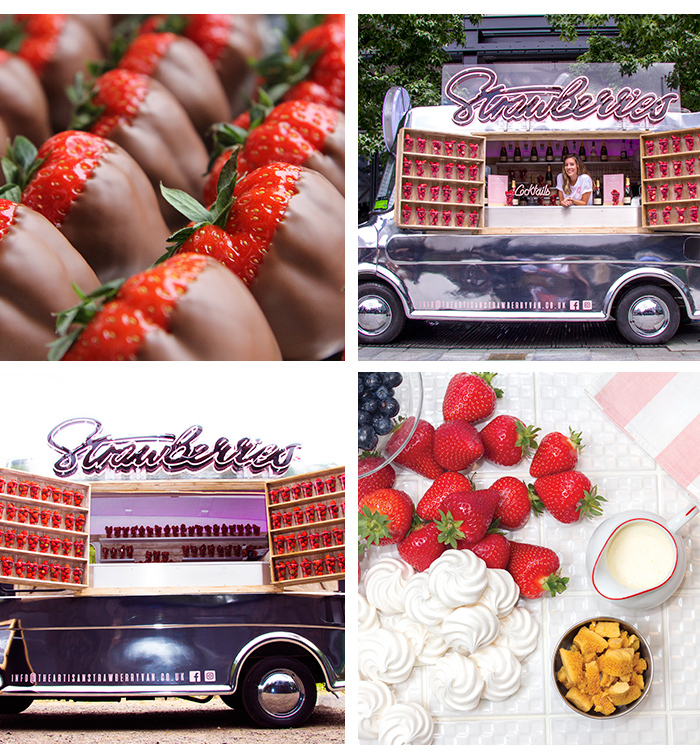 The founders of the Artisan Strawberry Van offer a crowd pleasing menu that will bring a smile to every member of your wedding party - think strawbs and champers, Eton Mess, fruity cocktails and vegan ‘mylkshakes’ (made with almond or coconut milk) all made with fruit sourced daily from a London market. Berry nice.